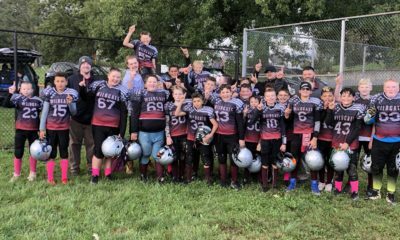 The Front Royal 11-and-under Youth Football Wildcats have had a season to remember – not only going undefeated into this Saturday’s Apple Valley Youth Football League Championship matchup in Warrenton, but unscored upon in an eight-game regular season and two-game postseason thus far. 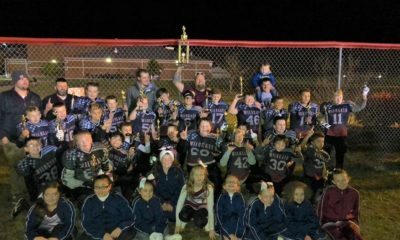 That 10-0 record with a combined score of 330-0 (251-0 regular season; 79-0 postseason) was compiled against teams from Winchester City, Clarke and Fauquier Counties and Capon Bridge, West Virginia. 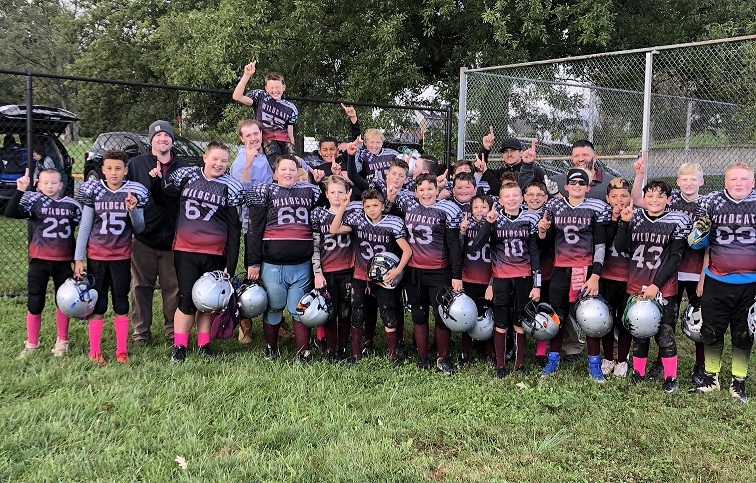 Saturday’s league championship game in Warrenton is against the Fauquier Cougars, a team the Wildcat defeated 21-0 on September 15. However, Wildcat coach Chris Ballard said Fauquier has showed continued improvement through the season, so his team will not take this matchup lightly. Of the astonishing accomplishment of going unscored upon through 10 games, Ballard said, “We didn’t get scored on in the first couple of weeks, and then the kids got hungry to keep that scoreless streak going.” Of his 25-player roster, Ballard said seven, sometimes eight players regularly go both ways on offense and defense. “Our team is actually undersized but they are VERY disciplined,” Ballard said of his Wildcats. While the Wildcat defense is unscored upon, you need points to win – here the Wildcats offense takes care of business. 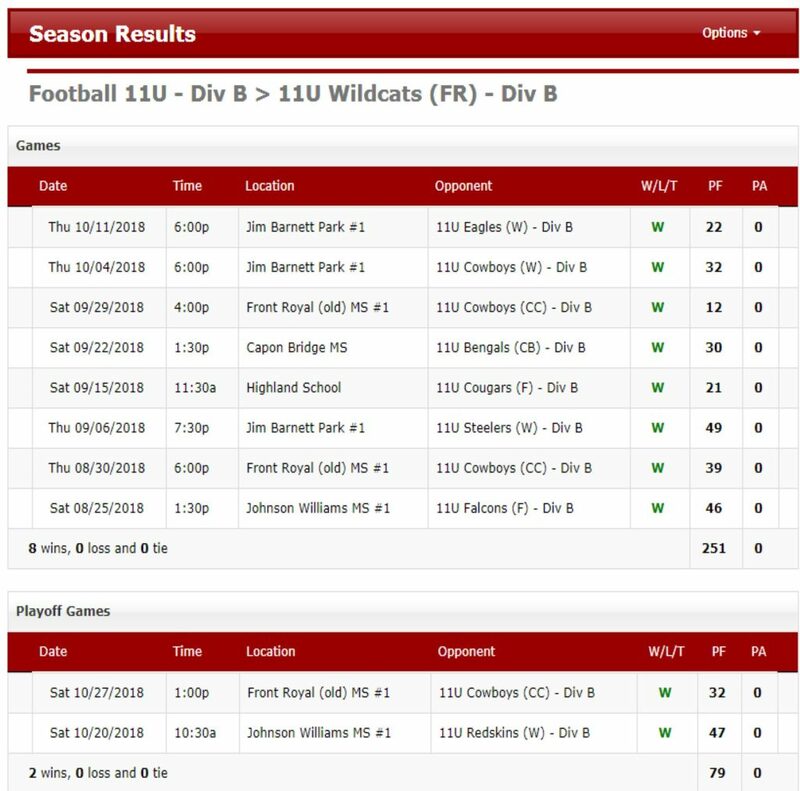 Front Royal’s 11-U Wildcat’s remarkable season has not only caught the attention of league opponents, but the Pro Football Hall of Fame World Youth Championship scouts. And that, yesterday, today or tomorrow is a winning combination. Wildcat Coach Ballard told Royal Examiner that win, lose or draw this Saturday his team will travel to Richmond for a chance to qualify for a trip to the Canton, Ohio site of the Pro-Football Hall of Fame World Youth Championships in December. It will be a four-team, winners advance to the championship-game tournament. First round losers will play for third place; while the Richmond regional champion goes to Canton where winners of 14 regional matchups in various divisions will compete for titles in December. 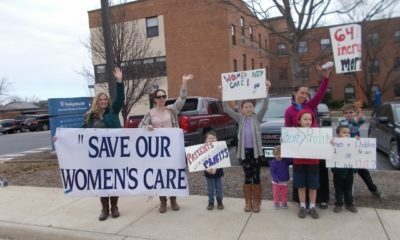 The team is seeking donations to help defer travel expenses. Information may be obtained from Coach Ballard’s wife, Brooke, at (540) 428-9079. Of the Canton site for those youth football championships, Legacy Global Sports Notillo wrote that they will be held “at the emerging $800-million Johnson Controls Pro Football Hall of Fame Village – the new home for youth football and the Most Inspirational Place on Earth.” Okay, perhaps a “slight” example of NFL promotional hyperbole, but certainly enough to get a youth football team and coaches’ curiosity and motivation up – as if the opportunity to continue an undefeated, unscored-upon season and chance to play for a “world youth championship” needs additional motivation. So good luck Front Royal 11-U Wildcats; keep it up and remember, if you get scored on, it is just that – a score, not the end of the game. And always remember: win, lose or draw down the stretch, you Wildcats have been singled out, not only for your record, but for your team character, values and respect for the game. – And in this old sportswriter’s book THAT makes you champions forever in an era too often collectively lacking in values and respect. 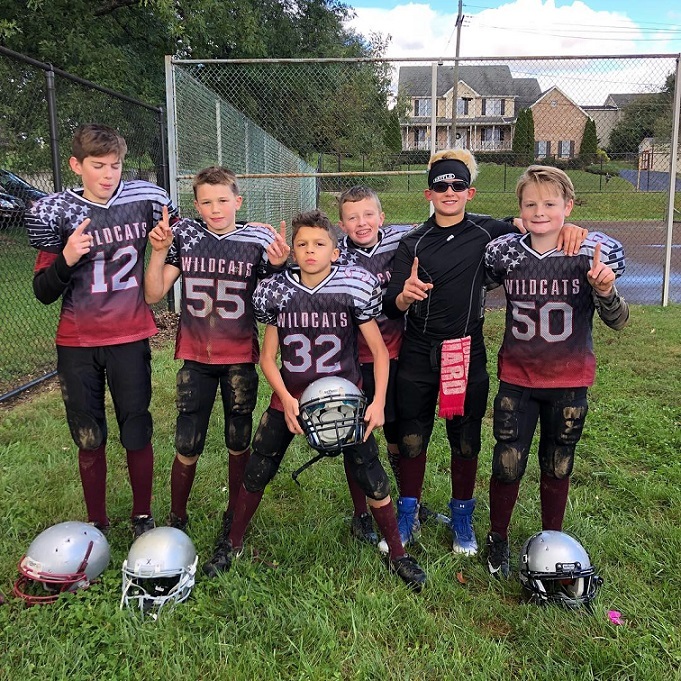 Players on the 2018 Front Royal 11-U Wildcats are: Cody Saloman (G-DE), Nathan Ballard (QB), Lance Dodson (NG), Josiah Sutphin (TE-DE), Damien Thompson (G-LB), Carmello Copeland (TE-DE), Aiden Boyles (C), Gideon Fusaro (TE), Brady Kaufman (RB), Brandon Phillips (G), Kobe Mason (RB-CB), Nicholas DeSantis (LB), Michael Hooper (RB-S), TyRay Taylor (TE-LB), Adrian Craig (G-DE), Cameron Kent (G), Colton Talley (T), Treyvonne Washington (RB-S), Landon Bryant (RB-LB), Cole Britton (RB-LB), Daniel Athey (T-DT), Liam Spurlock (T-DT), Marcus Smith (T-DT), Andre Ford (TE-CB), and Tyler Hyers (G). Some Wildcats celebrate a 10-0 season – NOW it’s time to get down to business.